śliczny! Border i obramowanie poduchy baaaardzo mi się podobają! This is so cute! Beautiful job! It makes an adorable pillow. I love the fox. Bardzo ciekawie uszyta - podoba mi się !!! very nice! I like the border. Hello! Your pillow is so beautiful! I just love it - I like foxes (I have a small dog 'Foxy'). 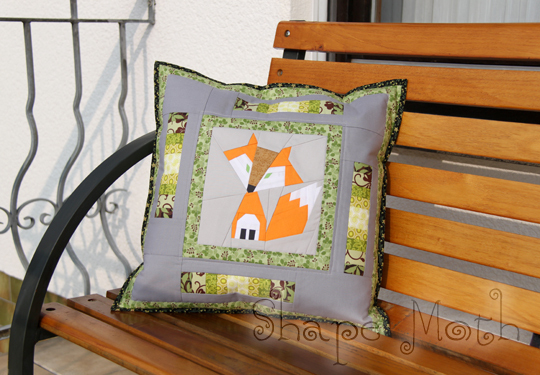 You have made that fox so perfect with small patches! Great work and thank you for sharing - I would love to make a fox! Very cute fox! Pillows are very beautiful. Like a real forest. iyiyi, he's completely adorable! CUTE! I think Felix turned out absolutely adorable~!!! I'm loving the pillow! Oh gosh, that block turned into a pillow is just awesome! I would love to experiment with cute animal blocks like that! Great job! 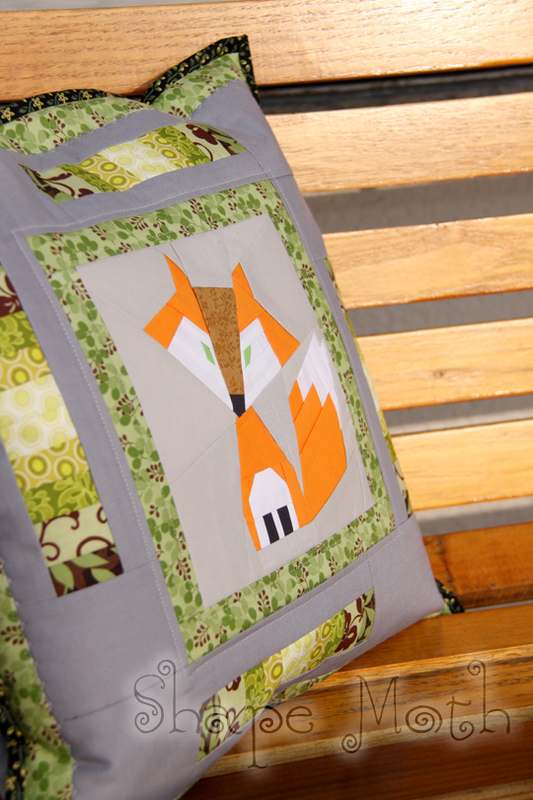 That pieced fox is pure awesomeness! Hello.I love it.It is so nice. That pillow is so cute! YOu did an excellent job with the fox. I love what you've done with the fox here. Animal pieced blocks are just incredible. Another inspirational item here. 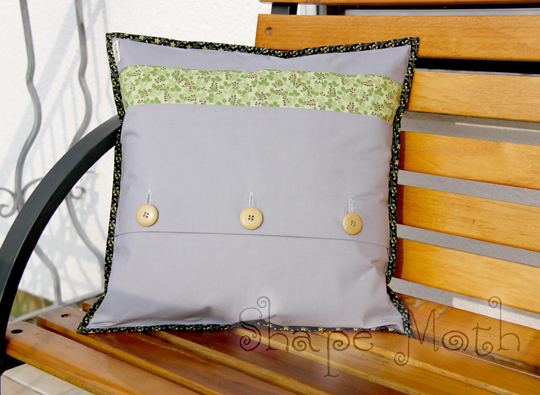 Thanks for linking up to Fabric Tuesday, so I could see your beautiful pillow! Love it so much! It's amazing, you are so talented. Super cute! Pillow looks great! WOW !!!!! ale cudaśne !!! śliczne ! i te materiałki ... Naprawę, bardzo mi się podobają ! That's so cute!! Great job!